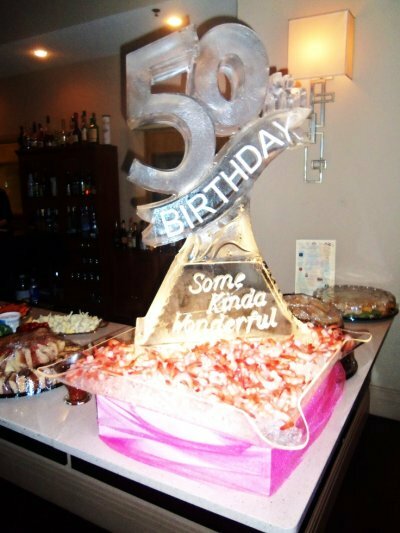 Planning a 50th birthday party begins with a happy attitude and good ideas. 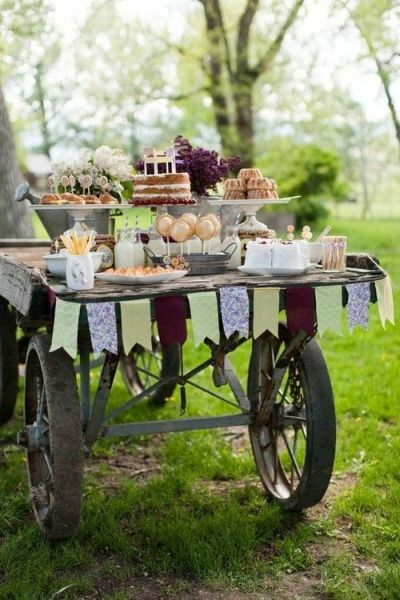 From beginning to end, a good party planner needs to be flexible as well as prepared. While it is a challenge to push beyond our limits to generate new concepts and styles, we encourage you to try something new as you plan. One of the easiest ways to start planning is to focus on the honoree and what best expresses how special they are. Here you will find specific guidelines on how to organize for success. 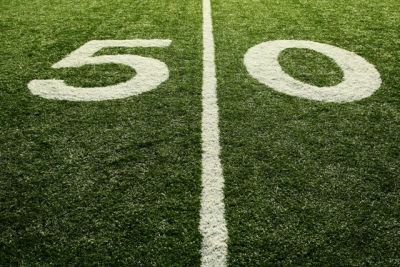 Turning 50 is a big deal, so it should be celebrated with lots of fanfare. Whether planning a 50th birthday party backyard barbeque or a formal sit-down dinner, these guidelines will help even the most inexperienced host pull off a fabulous party. 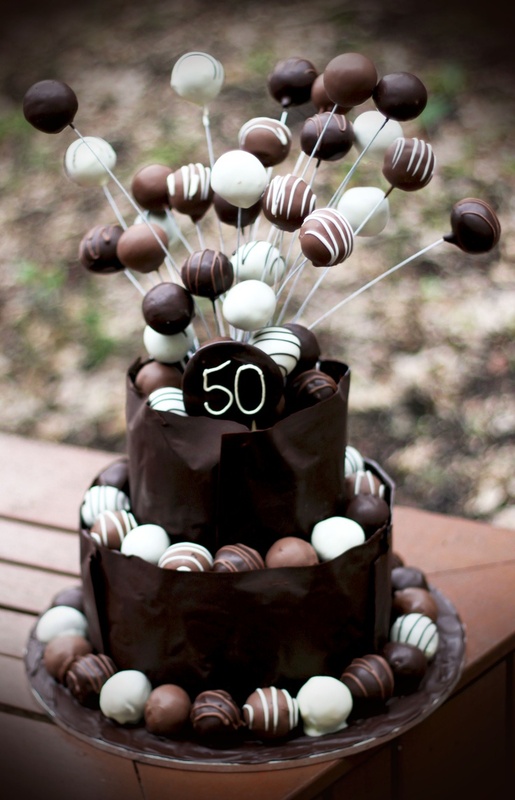 After all, a gathering of family and friends is a fabulous way to say "Happy 50th Birthday." starts with a game plan. A successful party means spending your time and energy planning something your special someone will love and remember. It does not mean spending a lot of money or planning a party you really can't afford. Using the guidelines provided here, make your best estimate of what it will cost to make your dream party a reality. Of those estimates, list the ideas that you are not willing to compromise. 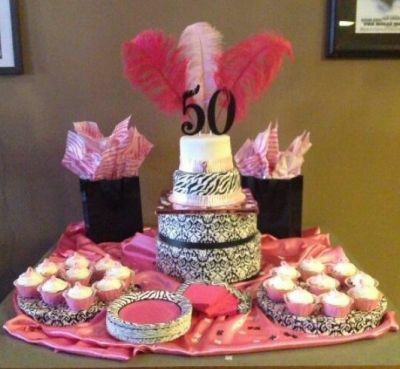 The early decisions in planning a 50th birthday party often become great stress relievers. Choose a time, date, and place for your party. If at all possible, allow the guest of honor to choose the date and time of the party. However, do consider what would be best for the majority of the guests to ensure good attendance. The location of the party is usually driven by the budget. This is one decision that could either be the cheapest or the most expensive. If there is a venue that is particularly special to your honoree, then it may be worth spending your money. 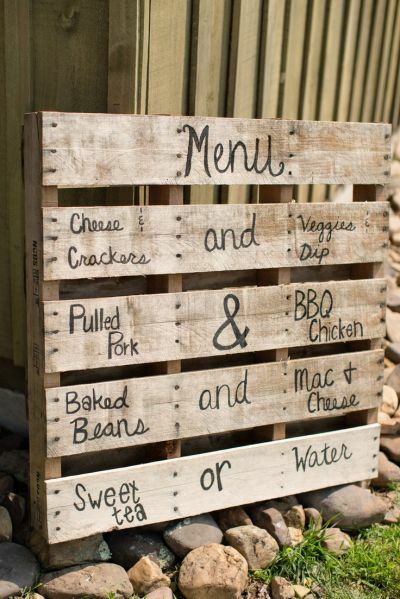 Otherwise, transform your own home or backyard into an entertaining 50th birthday party zone. The advantages to your own home are more time to decorate and zero dollars spent. The biggest advantage to an outside venue would probably be the clean up. 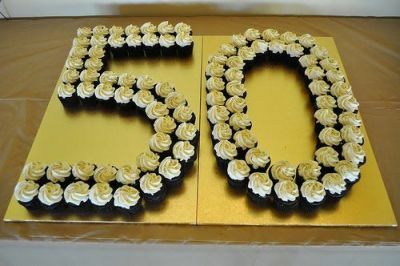 Planning a 50th birthday party also includes deciding how many guests would be a comfortable number to entertain. Ask your Honoree to compile a list of guests close to that number. If the amount of space is available, consider inviting fifty guests to further commemorate the occasion. Who should come? Sometimes a mixture of family and friends is a good idea. When mixing groups of people, however, make sure they are compatible. To further ensure the comfort level of your guests, allow guests to bring a date. The theme is the heartbeat of the party. Combine your personal style with a fun party theme to create an unforgettable milestone birthday event. Whether hosting a backyard picnic or an elaborate golden sit-down dinner, keep the party focused on your selected theme. 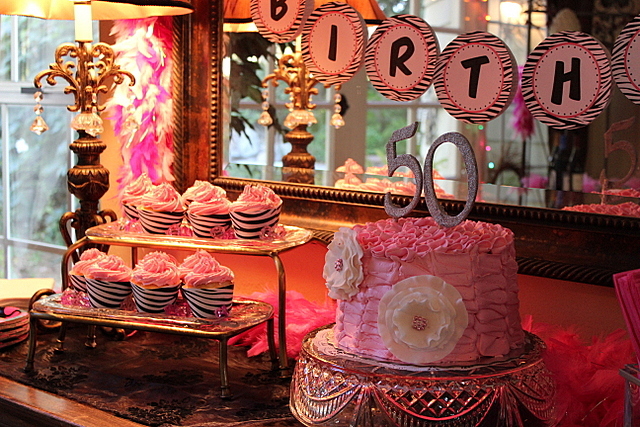 Get creative 50th birthday party themes here. Kick-off the party with invitations. Start the party buzz with unique invitations that inspire your guests to save the date. Let your guests know exactly what to expect with crystal clear party details. 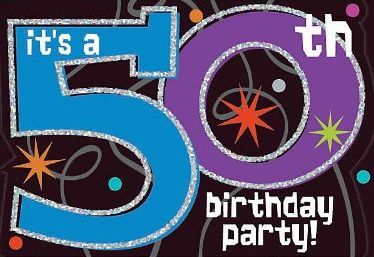 With so many 50th birthday invitation ideas available, choosing your card is an important beginning. Planning a 50th birthday party menu. This menu is as practical as it is fanciful. Simplify from the beginning. It is best to have plenty of your favorite party foods versus a small amount of many different foods. Not only does it make the shopping easier, it cuts down on serving space as well as serving pieces. This cupcake display spells it all out because the treats are the decoration. While homemade is best, don't sacrifice your sanity to prepare everything yourself. These cupcakes look so good no one will be concerned with who made them. Plan out the types of platters or bowls needed to serve favorite party foods. It's a good idea to do a mock setup using the selected serving pieces prior to party day. Create different levels by using risers, sturdy boxes draped with fabric, tiered servers, or simply turn over stemmed glasses to create a base. Props can add color and interest to your table. 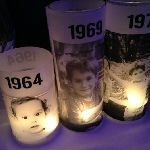 Photos, signs, flowers, candles, garland, or any theme related object can bring your table to life. Planning ahead simplifies party day. A quick and easy way to add personalization and color. 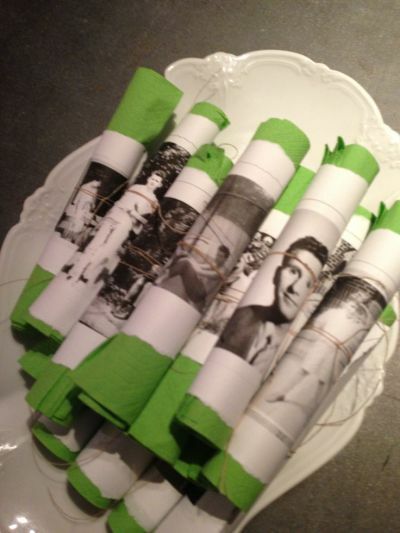 Simply copy photos of Honoree, wrap around napkins, and secure with string. A formal sit-down 50th birthday dinner party requires a formal table. The meal seems to taste better on a properly set table. 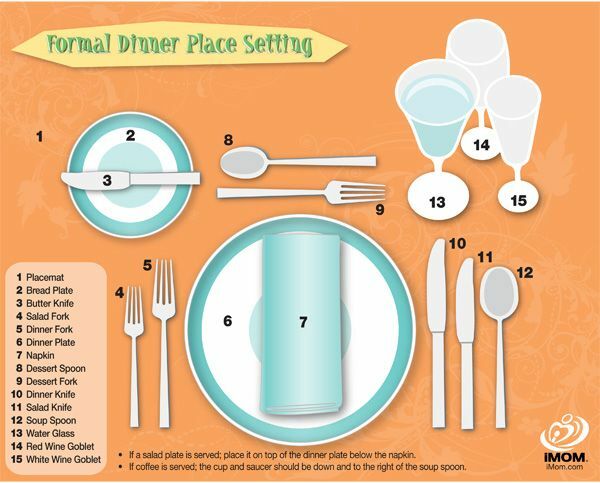 This table setting diagram will help make a beautiful, elegant table that's sure to impress guests. How old is 50 really? Planning a 50th birthday favor. 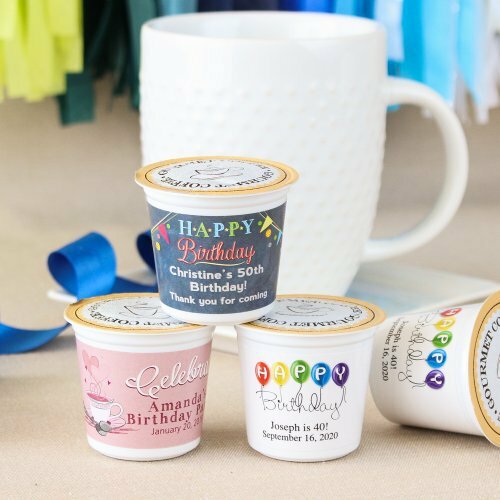 This gourmet roast will entice guests and the personalized label will provide a sentimental reminder of this milestone birthday. We found these K-Cup coffee favors at Beau Coup. 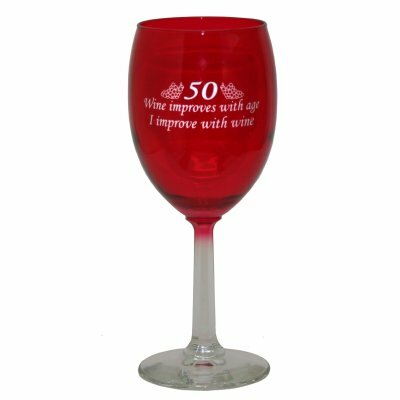 If your honoree appreciates a glass of fine wine, then this may the be perfect favor for your celebration. Amazon offers this striking wine glass as well as many others. 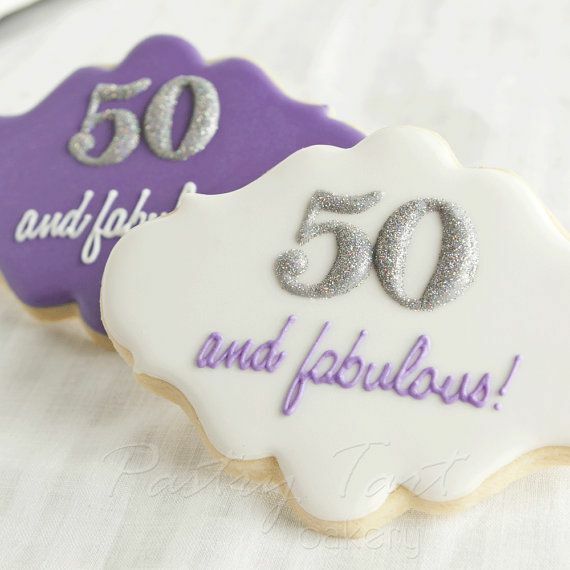 Planning a 50th birthday party cookie based on the theme is a sweet idea. Whether served at the party or sent home as a favor, guests will take pleasure sooner or later. 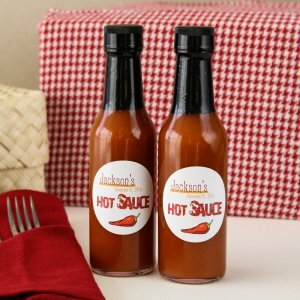 Pack a little heat into your 50th birthday party favors with gourmet hot sauce. Bottles come personalized with custom designed labels at Beau-Coup. Go for it and plan something unexpected. 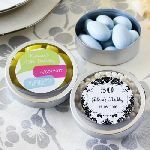 Bring a bit of magic to your 50th birthday party without breaking your budget with these fun, twinkling favors. 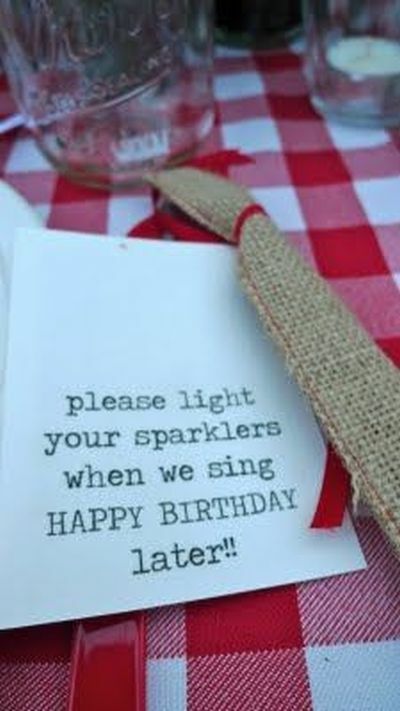 We love the idea of watching the bright, dazzling sparks while singing "Happy Birthday". Planning a 50th birthday party often takes you on a trip down memory lane. 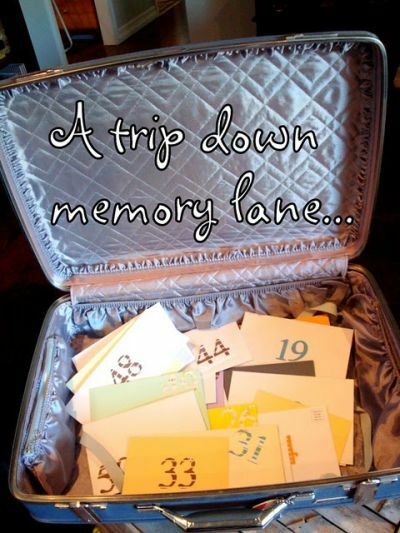 Incorporate a little help from friends and family by requesting 50 of their fondest memories of the Honoree. Say cheese and let the party begin. 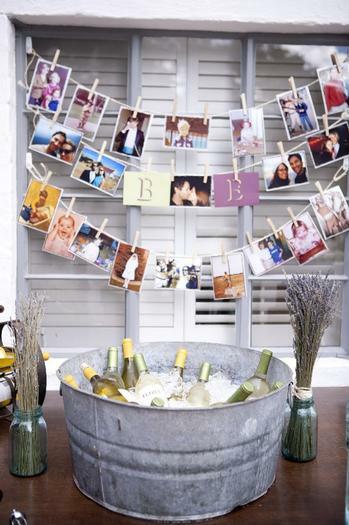 Picture the fun guests will have posing with party props while making tomorrow's memories. 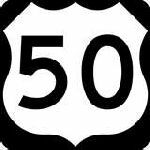 50 facts about 50 years. 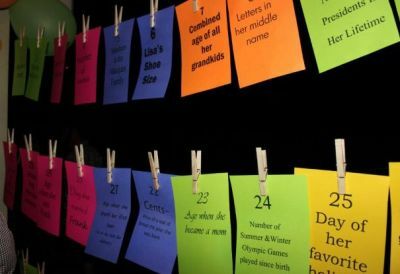 Display a fact about the Honoree's life that corresponds with the numbers from one to fifty. For example, on number 23 the age the Honoree became a parent. Planning a 50th birthday party decor. 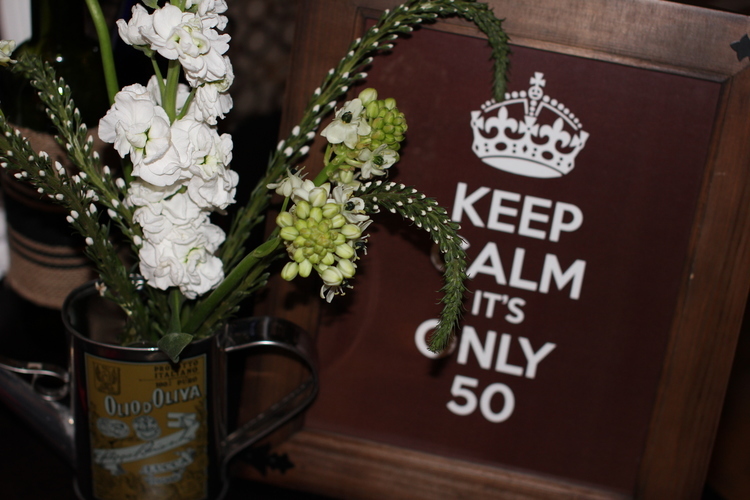 Decorating for a 50th birthday party can be as fun as the party itself. 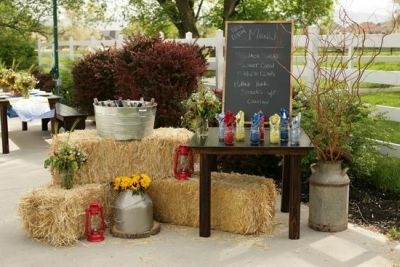 The party theme should be your guide in getting your venue party ready. If you are a minimalist and desire only a few decorations, make them impactful. If your style is over the top and like many decorations, start with the large attention getting pieces and add until you achieve your desired look. 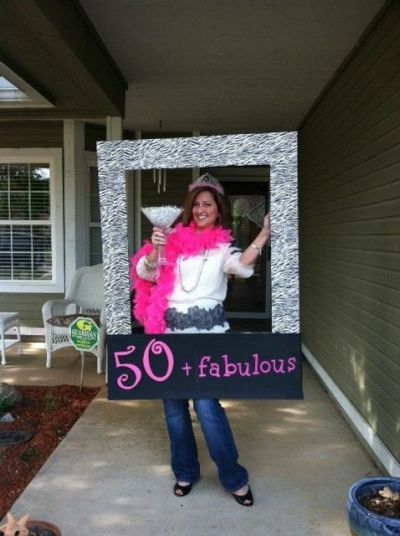 Get spectacular 50th birthday party decorations here. 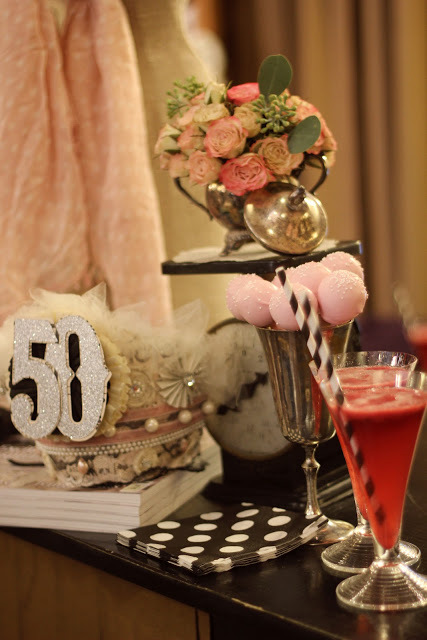 Unexpected decorative elements add an extra dimension to 50th birthday decorations, particularly if it highlights or continues the theme. Here, guests will drink in reflections of the past, while grabbing a refreshing beverage. 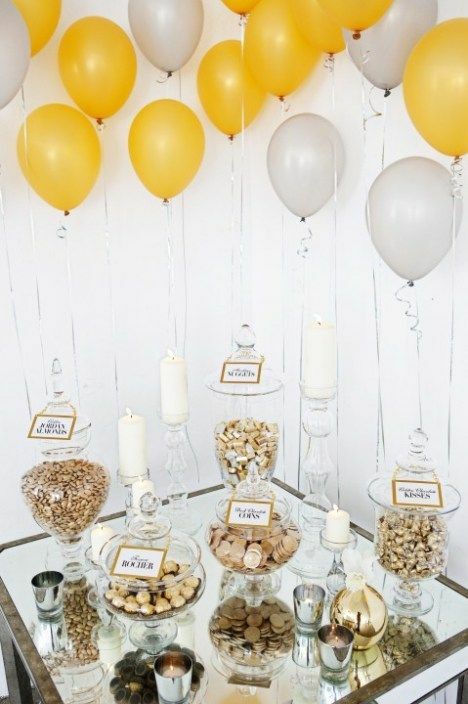 Conjure up a golden birthday atmosphere with a few festive gold and white balloons. Getting the background right made all the difference with this simply dressed and inviting candy bar. Gelato champagne and cake pops look as special as the occasion here. We love the tiny roses tucked inside a vintage silver sugar dish. Paper Source offers a creative selection of birthday invitations.